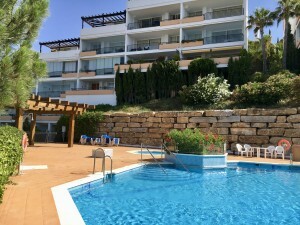 Beautiful 2 story town house with 5 bedrooms and garage for sale in Cantoria, Almeria, within walking distance of all services. With a construction size of 121m2, the house is on a plot of 113m2, with a tiled patio in the front. The patio gives access to the 15m2 garage that has an adjoining storage room. The house has on the ground floor a good size living room, a double bedroom, a bathroom with shower, a good size kitchen, with space for breakfast table and chairs. It also has a pantry and a door that gives access to a very private large backyard. Through marble stairs we go up to the first floor where we find four bedrooms and a bathroom. Two of the bedrooms have windows with access to a balcony and one of the bedrooms has access to a larger terrace. 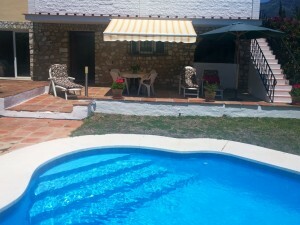 The house is located in a privileged place, in a very quiet area and at the same time close to all services. Cantoria offers a wealth of amenities including shops, bars and restaurants, sports gym and tennis courts, schools, medical center and a weekly street market on Wednesdays. The city has excellent road connections and the largest city of Albox is 10 minutes away by car. For more information, and to organize a visit, contact us now!